Are you hiking the GR1? 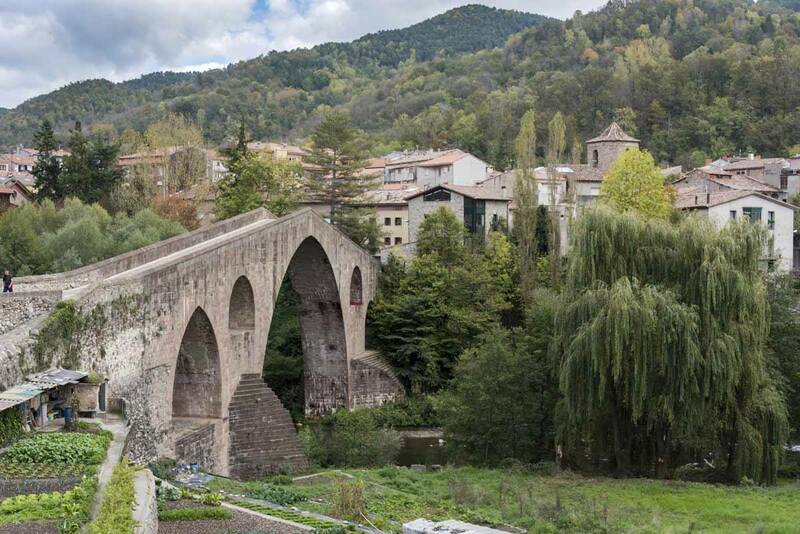 Here’s our daily trail guide, focusing on the section of the GR1 crossing the Girona province, from Empuries to Ripoll. Let us know if we forgot anything! I think it’s safe to say that we’ll remember October 2017 as one of the best months of our lives. We crossed mountains, stayed in a remote hut with a baby donkey, walked on a thousand-year old bridge, watched the sun set over a spectacular lake, spent my 34th birthday at a medieval festival, while hiking almost 150 km over the course of a month. Our October plan was hiking the GR1, one of Europe’s great long-distance paths. 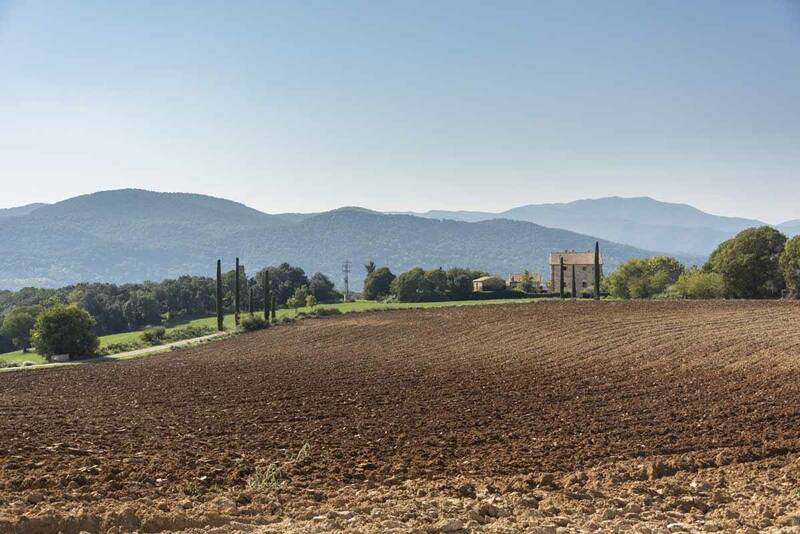 Specifically, we covered the section of the GR1 that crosses the province of Girona – we started our hike in Empuries, right on the coast, and ended it in Ripoll, in the foothills of the Pyrenees. 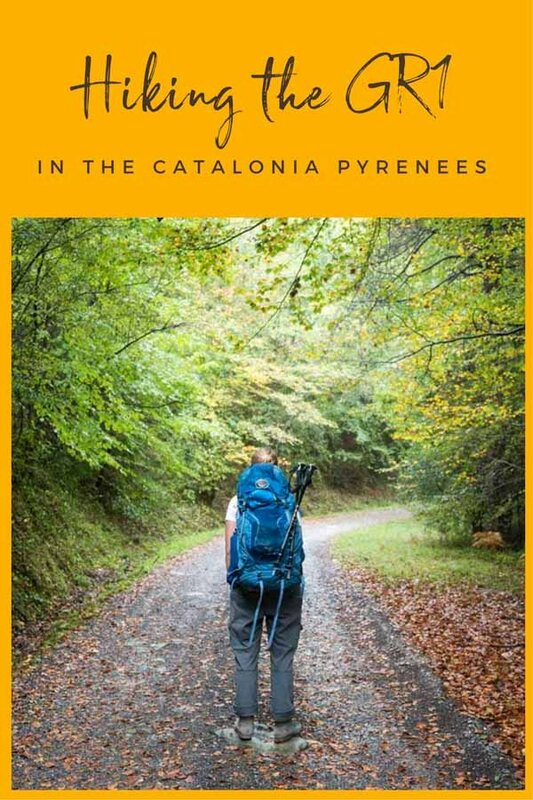 Just over half of the distance was spent hiking the Girona Pyrenees – check the link if you’re looking for practical or planning info. This article is all about the GR1 itself, with a detailed stage by stage trail guide for each of the 10 days we spent on the path. If this is your first time hiking for several days and don’t know what to war, check out our long-distance hiking packing list! The GR1, also known as Sendero Historico, is a 1,200 kilometre trail crossing northern Spain from the Mediterranean coast to the Asturias, not far from the Atlantic. 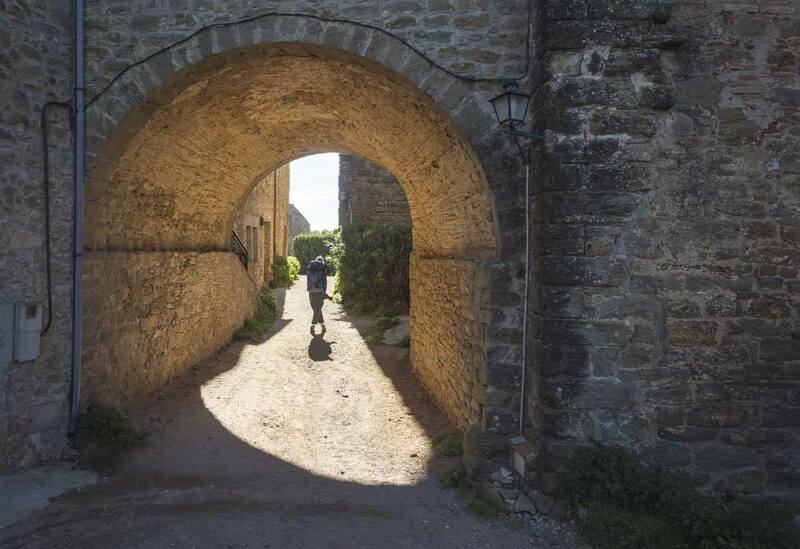 The route was developed to cross several historic sites, including Romanesque churches, monasteries, medieval bridges and villages. We only covered the first 150 km of the trail, but we found it a great introduction of what the GR1 is known for – namely, historic sites and varied landscapes, ranging from coastal plains, to hills and mountains, without forgetting the spectacular volcanic Alta Garrotxa region, one of the best surprises of the whole trip. In October, we had excellent weather (it rained only one day in the entire month) and found very few hikers along the way. 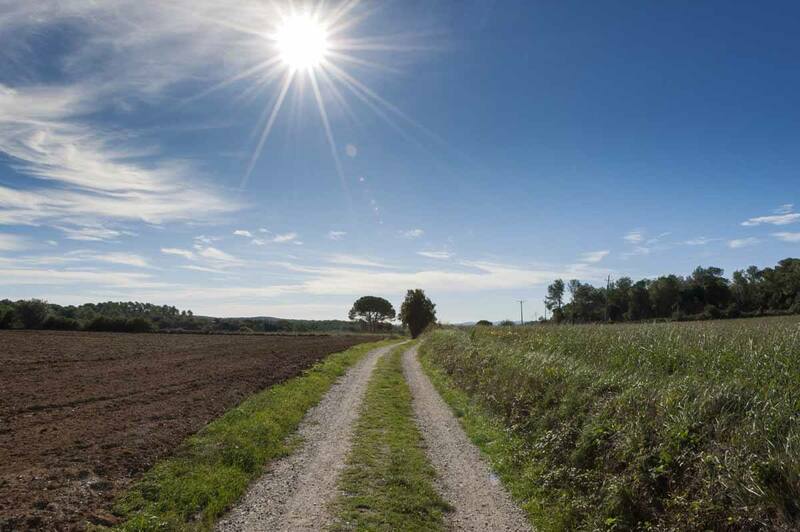 Unlike many other famous long-distance trails, there is little road walking along the GR1 – the trail was established connecting ancient paths and tracks that were once the only way to travel between villages. We didn’t need to camp, as the trail crossed several towns and villages – and when it didn’t, there was always a casa rural or refugio we could stay at. After Ripoll, the last stop of our GR1 hike, the trail continues heading northwest across the Pyrenees to the flatlands of central Spain, and then to the Picos de Europa in the Cantabrian Mountain, which is said to be one of the most spectacular sections of the hike. One of the benefits of the GR1 is that it connects with many other long distance hikes, like the Cami de Sant Jaume (Catalan section of the Camino de Santiago), the Camino Primitivo (the wildest and most mountainous branch of the Camino) as well as the GR3 – we saw the connecting point ourselves, towards the end of our stretch. 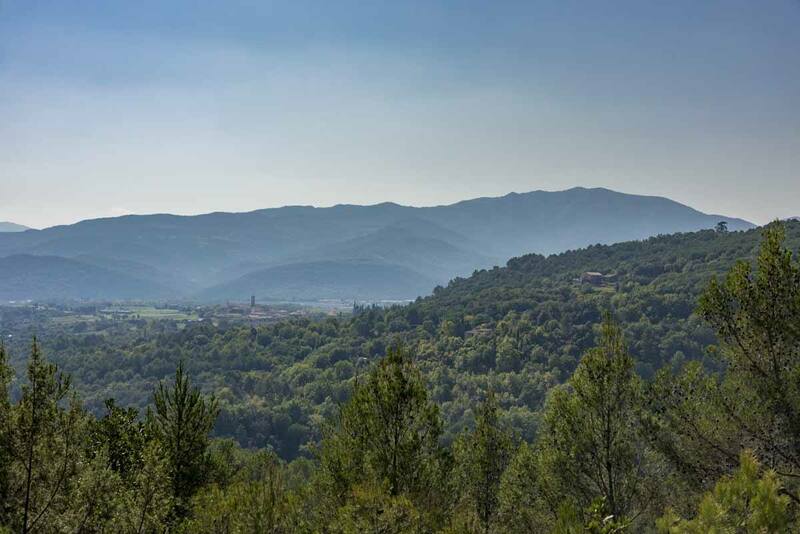 We would love to return one day and complete the entirety of the trail – for now here’s our guide to hiking the Girona section of the GR1! 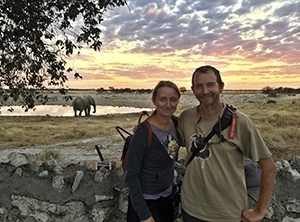 We divided the hike over 10 days because I was still recovering from my injury while hiking in Kyrgyzstan, but stronger hikers can definitely cover the same distance in 7 days, or even less. We included distance, ascent, where we stayed and even the ‘scent of the day’ – as we walked, we moved from coast to mountains, from summer to autumn, and every day brought new colours, plants, views and scents. 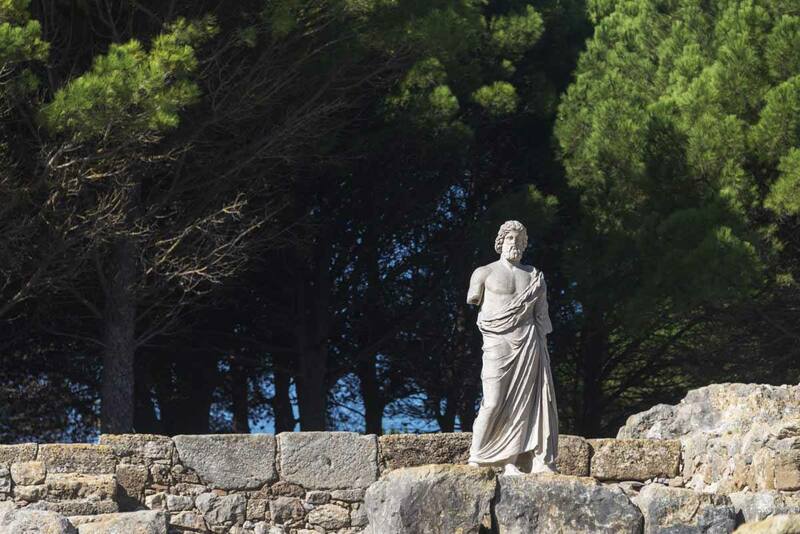 We started our hike from Hostal Spa Empuries, a spectacular seaside hotel originally opened in the early days of the 20th century to serve as accommodation for the archaeologists working in the nearby Greco-Roman ruins of Empuries. 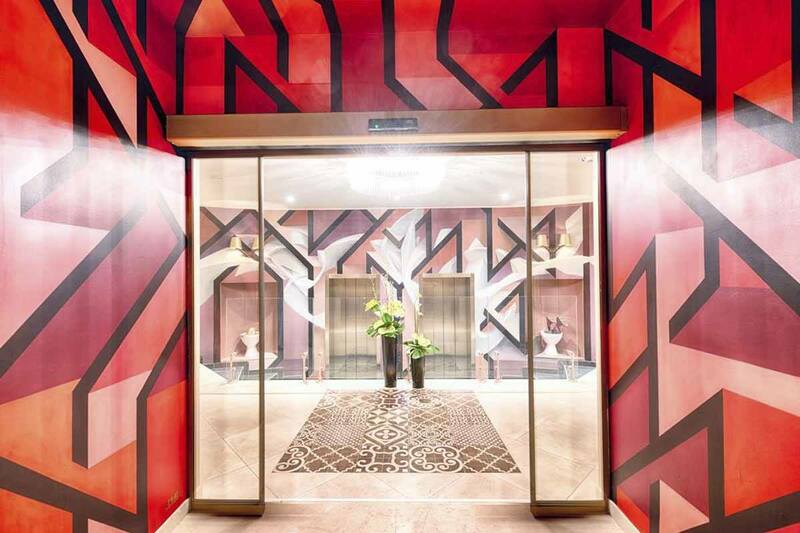 The hotel has since been refurbished and a wonderful spa has been added, while retaining some of the original architecture and features. The GR1 followed a short section of the coastal path past the ruins until the nearby village of San Martì d’Empuries, before turning inland. We highly recommend visiting the ruins, but make sure you don’t start hiking too late, as the heat can be unbearable. We started hiking at 1 pm (yes, I KNOW) and by the time we reached our destination, we were exhausted, even though the stage is mostly flat and the trail is easy to follow. After turning inland we crossed a small section of the parque natural dels Aiguamolls de l’Empordà, a coastal wetland area famous for birdwatching, and passed through the villages of Cinc Claus and Viladamat, where you can have lunch if you’re there at the right time. 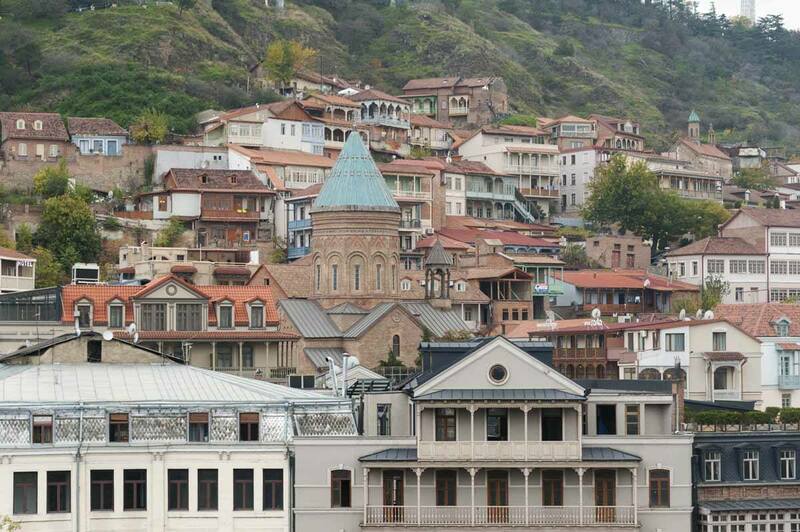 Otherwise, there’s a small shop in Viladamat where you can pick up supplies. After Viladamat, the trail headed towards the hills behind the village, entering an area where patches of oak and maritime pine woods slowly replaced farmland. The more we progressed, the hillier it got and the denser the vegetation became, providing also some respite from the heat. The second half of the trail had a lot of ups and downs, and some panoramic views over the coast – which felt millions of miles away, after having walked the whole day, but it’s only about 10 km as the crow flies. The last stretch included a descent towards Can Muni, a farmhouse with horses and a swimming pool, where the first stage ended. If you’re planning to stay at Can Muni, make sure you reserve dinner in advance, or you’ll have to walk 1.7 km until Camallera, the closest village. Day 1 was quite trying because of our late departure, so we made sure that we were up and on the trail by 9 am on day 2. Luckily, the second stage was a lot shorter and easier than the first. We followed the trail out of Can Muni and into Camallera – as we didn’t book dinner at Can Muni, we had already been to Camallera the previous two nights for dinner and we recommend stopping at Casa Gilbert, a restaurant run by a young Argentinian couple. After Camallera, the trail ran parallel to the main road for some time, until it crossed a village called Llampaies, with dried cascading bougainvillea and nice houses, but no bars or restaurants. Then we continued through farmland, passing fields full of hay balls, until the path entered the forest – the last stretch was very quiet, with tree tunnels and dense vegetation. In the forest, maritime pines were slowly replaced by oaks, a sign that we were leaving the coastal area for the foothills of the Pyrenees. The second stage ended in Orriols – a tiny village with about three streets, a church proudly flying the estelada (the flag of Catalan independence) and a water fountain. You can stay in Orriols in local homes, but we opted for a transfer to Banyoles, the town at the end of stage 3. Day 3 was our longest stage, but luckily we hiked it without bags as we were staying in Banyoles the previous night – so we started the day with a transfer from Banyoles to Orriols, and we walked back towards Banyoles. After walking out of Orriols, we crossed farmland for the first couple hours – it was after harvest time, so the fields were empty, ready for the winter slumber. In the patches of forest we crossed we found both oaks and pines, as well as a tree with spiky berry fruit I had never seen before, rose bushes on the roadside and crawling ivy with jewel-red berries. We walked alongside secondary road for about 3 km – it was the only time since the start of the hike that we walked along a road with no shoulder or footpath, but there was not much traffic besides a few tractors. The best part of the day was a 2 km crossing a coniferous forest, walking along a flat, shaded path, surrounded by the scent of pine wood, sap and pinecones. After the forest and a small stretch of farmland, we entered the village of Centenys, the first of Banyoles’s ‘suburbs’, with a beautiful Romanesque church. 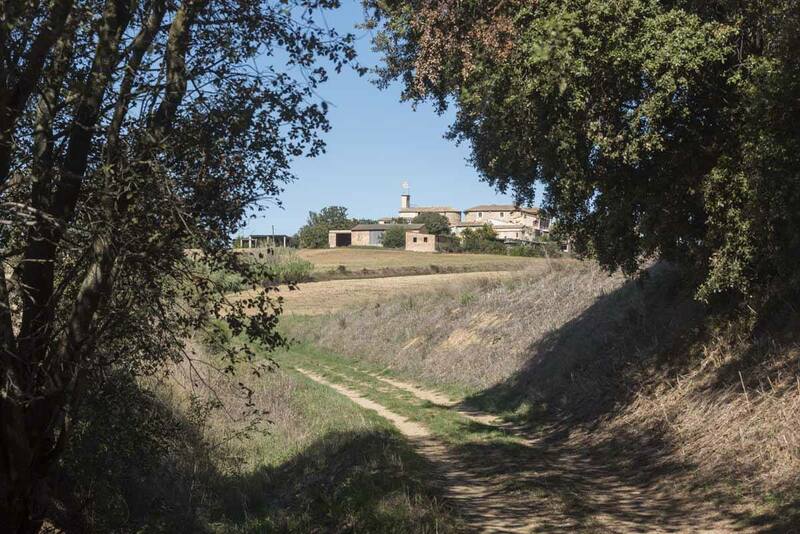 The second ‘suburb’ was Melianta, where we passed sighs leading to a circular path known as Ruta de le fonts de Fontcoberta, leading down to a green valley where some natural springs are found. 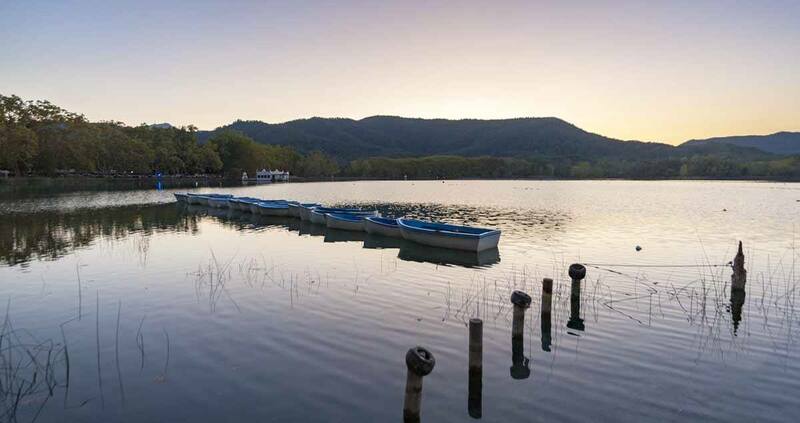 After leaving Melianta behind, we entered Banyoles, and slowly made our way around the Estany (the lake Banyoles is famous for) and back to our hotel. 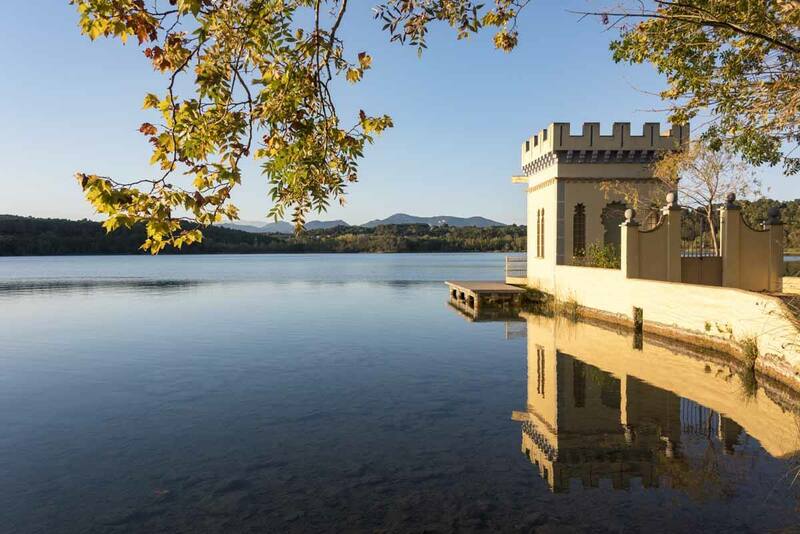 If you’re visiting Banyoles in October, don’t miss the Medieval festival held on the second weekend of the month! Day 4 was supposed to be a leisurely 16 km walk, but it ended up being 5 km longer as we took of series of wrong turns that ended up in a very long detour. According to the trail markings, we were meant to leave Banyoles behind and head northeast, but instead we decided to circle the Estany heading northwards and then follow local roads back to the trail – however, we got stuck in a privately-owned area and we didn’t want to risk trespassing (this isn’t Finland, after all) so we headed back the way we came. 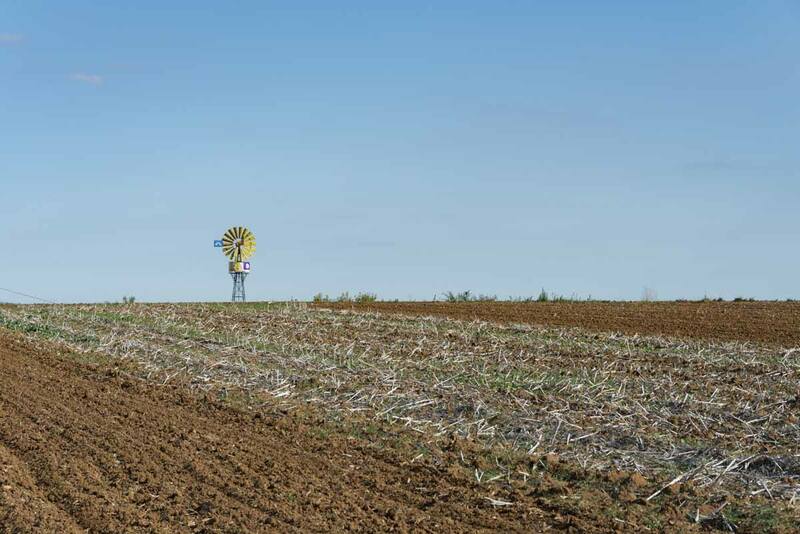 Once we were safely on track, we crossed a mixture of farmland and abandoned factories. The path was very sunny and open at first, then started crossing patches of forest until we got to Serinyà, famous for its prehistoric cave complex which was sadly closed. We sat for a while in the main plaza of Serinyà, with not a soul in sight, before continuing onwards. The second part of the day, we walked through a forest, with lots of shade and the noise of leaves and acorns crunching underfoot – very pleasant, but also very steep. Finally we crossed the ancient medieval bridge into Besalù, a fairytale village where it is worth spending at least one day. This was the easiest day of our entire hike! We woke up early to see the sun rise over Besalù, and shortly afterwards we were walking out of the town. We passed a small village with a bakery and some farmland before the path started following a major highway for about 2 km. We didn’t actually walk on the highway, just near it – the path looped above or below it, and sometimes the highway was barely visible. About halfway through the day, the trail headed northwards through a forest – it got really quite hilly towards the end, when the path really became narrow and surrounded by vegetation, but all in all it’s a very pleasant walk. 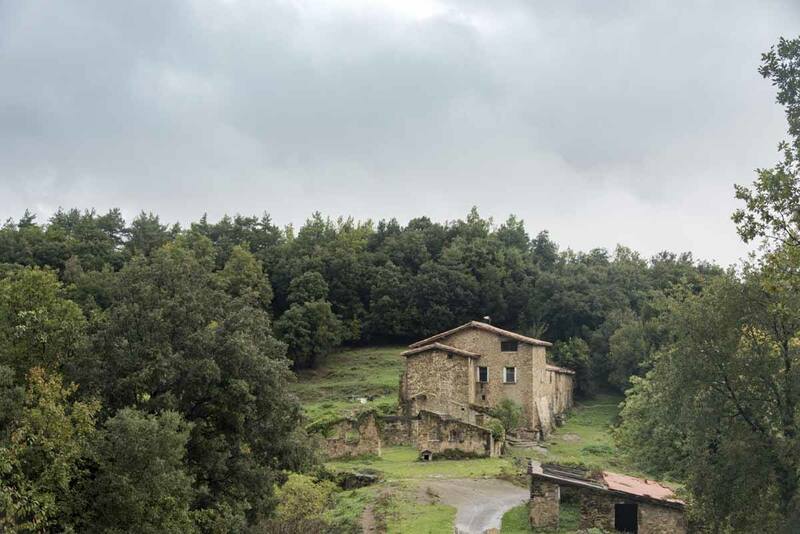 At the very end, the path emerged from the forest right into Tortellà, a village of about 700 souls in the heart of the volcanic Alta Garrotxa region. 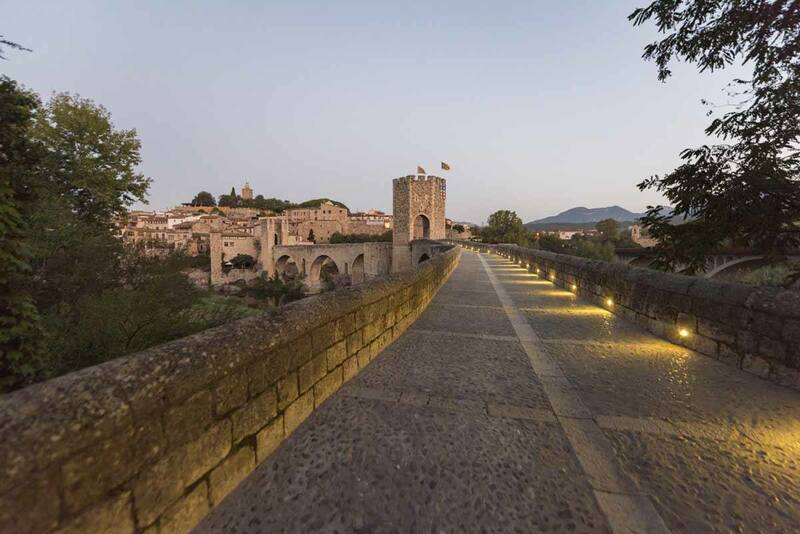 We followed the GR1 markings heading northwest of Tortellà and about three kilometers later we reached Puente de Llierca, an amazing Romanesque stone bridge dating back to the 11th century. The GR1 crosses the bridge, but if you want to get down below to get a shot of the river, it’s tricky. We couldn’t find any trails safely leading down to the riverbed – there’s a very steep and slippery path heading down just past the benches on the other side of the bridge, but it is quite dangerous. Be very, very careful. 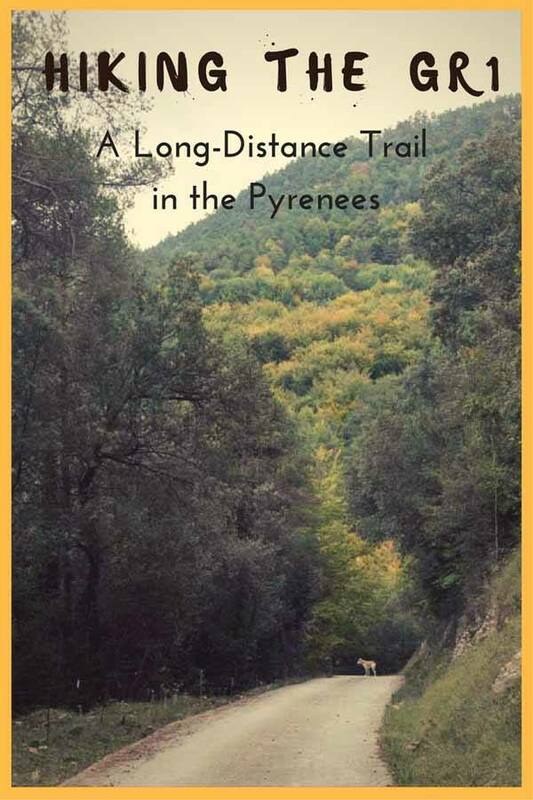 After the bridge, the trail continued heading northwest – that’s where the first ‘real’ climb of the entire trail began, where we felt we were leaving ‘hill country’ for the proper Pyrenees. The trail was narrow, steep and rocky – it climbed steadily for 4 km through an oak forest with lots of trees and not much in term of views. This was perhaps the first real test in the GR1, a real leg breaker. As we got near the highest point, the view started to open – mountain after mountain covered in forest, still mostly green with the first autumn colours showing, surrounded by limestone cliffs and a saw-toothed mountain ridge. The trail followed the mountaintops for some time, then started descending. From the bottom, Oix was only a short walk away. We walked out of Oix heading west, following the signs for ‘Refugi de la Vall del Bac’. The trail was flat for first 3 km, until we reached a big water pool in the forest. Then, we started climbing for a further 3 km, but not quite as steep as the previous day. We passed a large stone house framed by a cone-shaped mountain and a farm with fences for horses, but no one in sight. Then we entered the forest once again, this time thicker and darker, and hiked up to the highest point for the day, marked with a statue of St. Isidro. Then, the trail started heading downhill – the path was rocky and uneven, hemmed in by limestone rocks that created a v-shaped crack on the bottom of the path – please watch your ankles! At the bottom of the path we found a fountain, and a fork in the road. There are two options to reach Refugi el Bagatell, our stop for the night. The easiest is following the road (about 1.5 km) and then take the steep ‘Cami Particular’ leading to the Refugio on the top of hill. Otherwise, you can follow the GR1 markers to the village of Llongarriu (about half an hour) then another half an hour along the road, until you reach a turn off to Bagatell on right hand side – where we met Maca the baby donkey! El Bagatell was best place where we stayed during the entire GR1 hike. It’s a family-run refugio, a mountain hut in a secluded valley with no phone and Wi-Fi signals, where you’ll be alone, at one with nature. The refugio is run by Teresa and Josep Maria, a friendly couple who will make you feel at home. Even though we didn’t have the greatest weather, this stage was amazing! Day 8 was the only rainy day of our hike. We woke up to a cloud-filled valley and we considered hitching a ride sto our final destination, but then decided to soldier on. Instead of following the GPX track we took a path through the Bagatell woods back to the GR1 trail. We knew that it was going to be the steepest day of the hike, but the first part of it was very pleasant, weaving in and out of a pine forest and crossing pastures with cows looking at us with their big, wide eyes. Just as we passed a sign saying Sant Pau de Seguries – 50 minutes, we thought that’s it, it’s over – but naturally, it wasn’t the case. We still had a huge hill still in front of us, a 200 meter climb in just one km. Just as we began to walk, it started to rain heavily and we were soaked within seconds. We’ve never been as relieved to get somewhere as we were when we reached Can Baral-la, our Sant Pau accommodation. We woke to a crisp, clear morning and followed the trail through the woods just outside of town. After the previous day’s rain, it felt as if the season had changed – it was quite windy, the trees had started to change colour, and there were leaves on the trail – maple, beech, chestnut, other heart-shaped yellow ones, similar to the leaves of gingko trees. 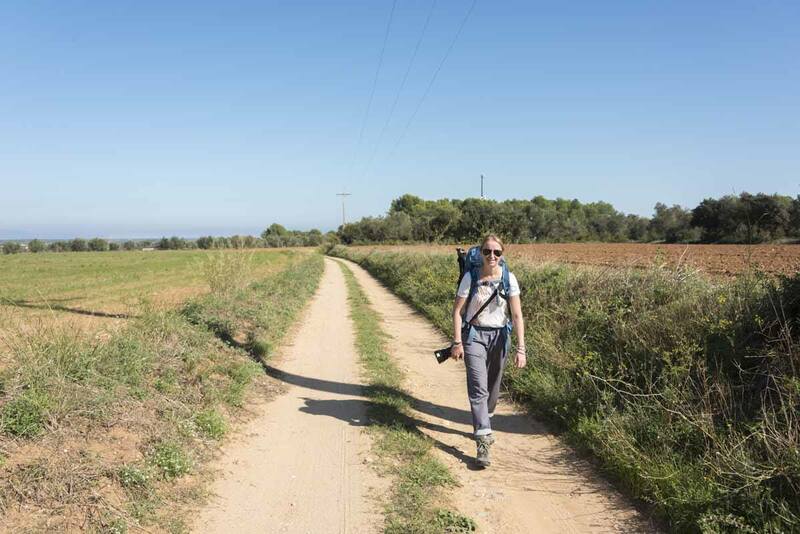 The path followed the Cami de Sant Jaume for a section, then ran along a busy road, started climbing, passed through forest and fields – all in all, the vibe kept changing, making the day interesting. We passed a few bars and restaurants, until finally Sant Joan came into view – but before we had to cross one last valley. All in all, it was a very pleasant day. 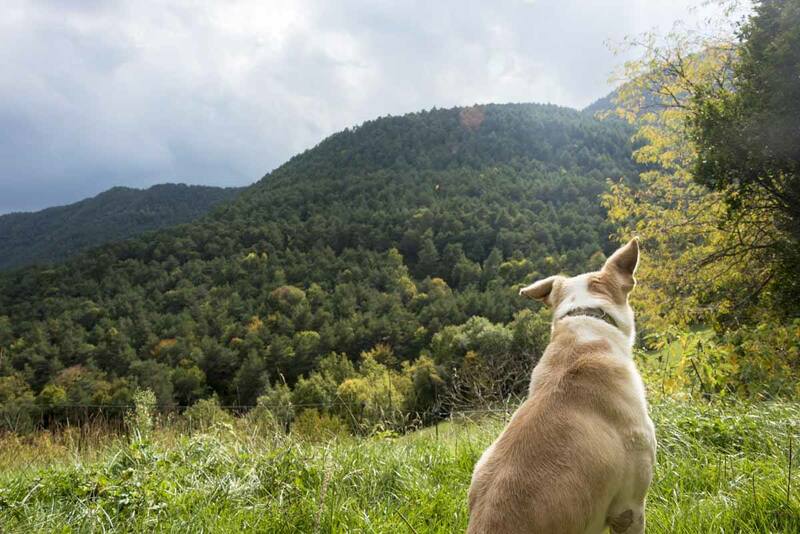 If you’re tired, you can follow the Green Way all the way to Ripoll, and you’ll be there in about two and a half hours. The path is very flat as it’s a decommissioned railway, and it’s also a popular option for a bike ride. If you want to stick with the GR1, follow the trail markings out of town – but don’t cross the bridge into the historic centre, or you’ll have to backtrack at some stage. The first section of the trail weaves in and out of farmland, and it was the only poorly maintained section we found – the path was overgrown and soon we found ourselves with very wet feet. Then, the trail headed back into the forest, going up and down for a few kilometers – but mainly descending into the valley below. We were surrounded by forests for most of the day, but there were also a few houses and we could ‘feel’ that we were approaching a larger town after a few days walking through the mountains. When the GPS showed approximately 4 km to go, we left the forest and followed a path along the main road heading into Ripoll. 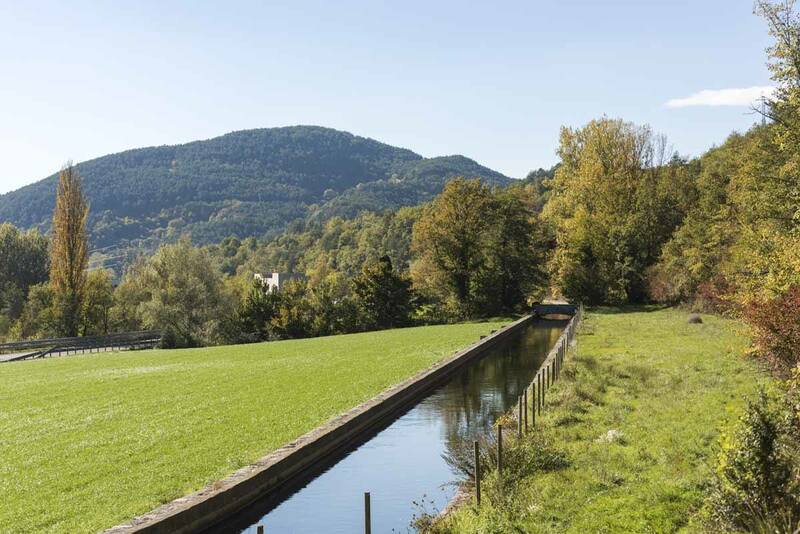 However, we never actually walked along the road – we were always a bit further ‘up’, following one of the many canals that channel water into Ripoll. The canals were created at the time of Ripoll’s booming iron industry, as the smith workshop and furnaces needed copious amounts of water to run properly. We finally entered Ripoll from the eastern side and walked through a former industrial area, until we finally reached the city centre, and our GR1 hike came to an end. 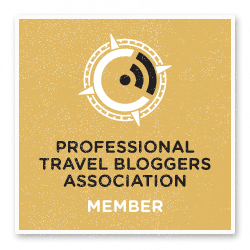 We would like to thank the Patronat de Turisme Costa Brava Girona for making all of this possible, and all the kind souls we met along the way for brightening up our days. Special thanks to the burrita Maca for being awesome! Really cool! This is my first time hearing about the GR1. Thank you so much! It’s a great hike, and not very well known at all. Feel free to get in touch if you have questions!